L3 Narda-MITEQ's Frequency Translator Systems are designed to translate the C, DBS, Ka, Ku, L, S, and X band satellite communications frequency transmit bands to their respective receive bands. We offer units for both rack mount as well as portable satellite test translation, including a convenient 'suitcase' style package. Our translators are available in Single-, Dual-, Tri- and Quad-band configurations. 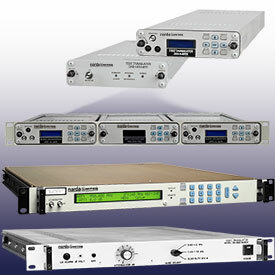 See all of our Multi-Band Frequency Translator Systems. NEW Space Saving, patented, 1/3 rack mount Frequency Translators These unique, full function space saving, patented, translators offer the same performance and options as our full rack units but require 1/3 the rack space of a traditional unit. 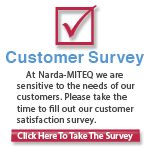 Space savings 1/3 rack units are only available from L3 Narda-MITEQ.